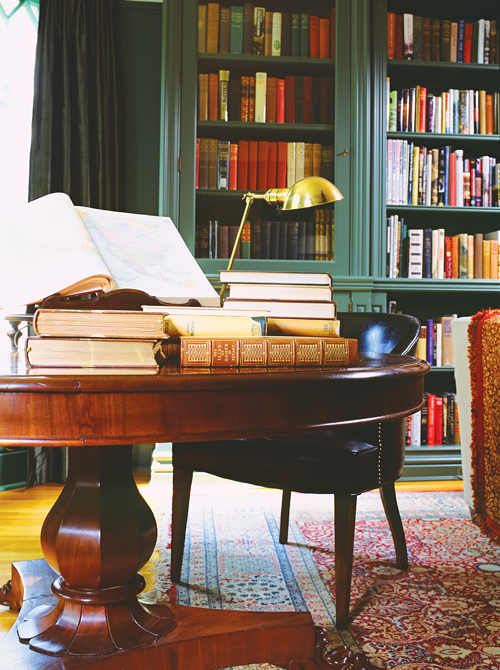 In this historic Toronto home, the aim was to restore the house to its former glory and reflect the client's passion for books and history. In the “green library,” our response was to design custom bookcases to surround the room with the client's vast book collection. Some bookcases were full height with glass cabinets to house first editions, and others were low height shelves to feature the stained glass windows that we had restored, and which also allowed for display of interesting collections on the top. The focal point was a new, bold, hand carved oak fireplace mantel which anchored the room. Furnishings completed the look with a deep comfy sofa and ottoman, leather side chairs, and the restoration of the client’s magnificent antique pedestal table, all surrounded by an "old world" warm green paint colour. The second library featured two tall white oak cabinets that allowed for ample display of the client's collection of toy soldiers. The original mantel and tiles were restored and modified slightly so that art could be hung above. 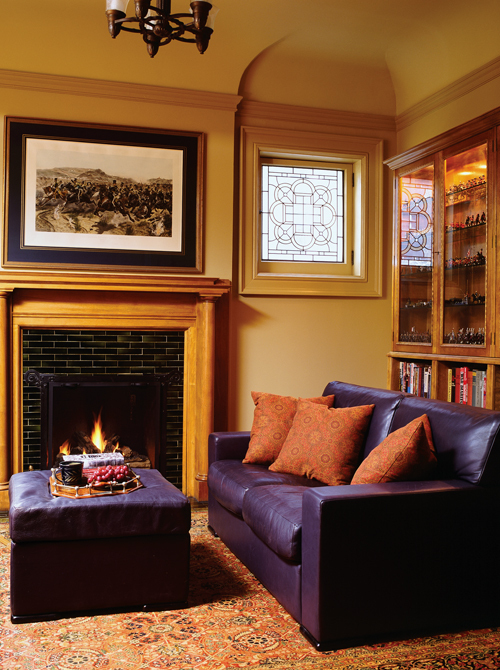 The result: two cozy rooms to pull up by the fire with a book, or to visit with friends and delve into history.